Fostering children means providing them with a home and care when their own families can not do so. When sibling groups must be placed outside of their own homes it can become a challenge to keep them together. Offering to foster sibling groups is an extremely generous act which requires great planning and working through some special concerns. Understanding the needs of sibling groups should also help foster carers find greater success with these groups. Fostering multiple children can be a challenge for even the most enthusiastic carers. Bringing many children into the home at once results in challenges to space, budgets, transportation and general logistics such as getting children into schools, cooking for a larger group and finding entertainment for everyone. Planning for fostering multiple children will require carers to find sleeping spaces for all children, work out if they can afford to care for the children with the help of foster care allowances, discuss their own support needs with social workers and fostering networks, and undertake any training they feel might be helpful. Working with a fostering organisation prior to a placement should help carers best prepare for welcoming a sibling group. Siblings not getting along and cause great unrest in the home. Siblings banding together to work against foster parents. The problems of all siblings combined being overwhelming for the foster parents. Younger siblings not being able to trust or bond with foster parents if older siblings are present. How to relate to siblings old enough to be out of care, but close with younger siblings. What to do if the group is made up of half or step-siblings. The demands on time and energy that caring for sibling groups might entail. 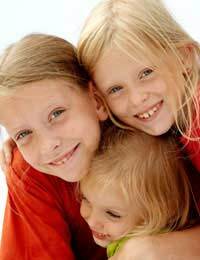 How foster carer’s biological children will get along with foster sibling groups. Worries about fostering sibling groups can easily be put to rest and supports put in place to help foster carers, but interested individuals do need to recognise the unique needs of sibling groups which are placed in foster care. Most importantly foster carers must view such children as individuals first and get to know each of them and their unique needs, wants, strengths, weaknesses and overall personalities. Recognising how the siblings interact with each other, the specific relationships between each different member with others, and the needs of the group as a whole is also essential to successfully fostering sibling groups. Some siblings may have a greater support network than others, if they have accessed assistance from schools or local authorities previously, and working with established networks should provide foster carers with a framework for developing relationships and routines too. Fostering sibling groups is a huge undertaking, but one that stands to bring foster carers many rewards. In-depth planning, discussing special concerns and understanding the needs of sibling groups in foster care should all help carers successfully undertake such a foster placement.